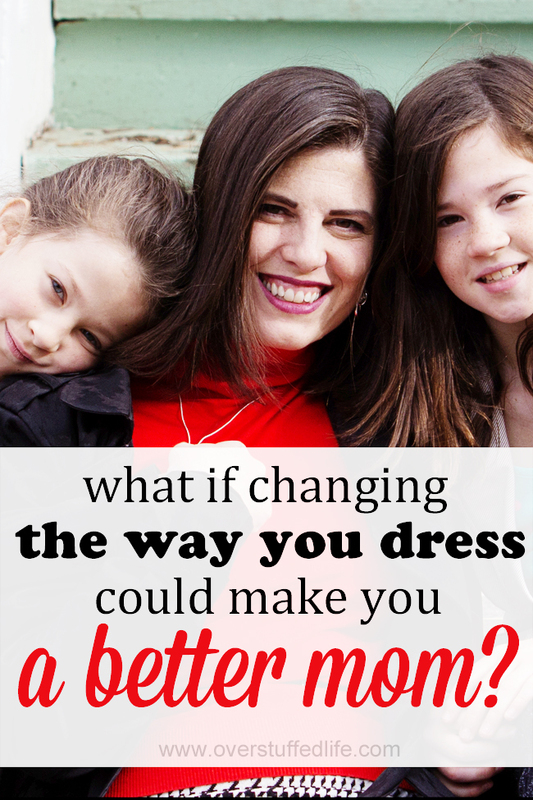 What If Changing the Way You Dress Could Make You a Better Mom? Motherhood was a big change for me. One of the things I struggled with most after having babies was finding myself and really understanding who Lara was underneath this new layer of "mom." I had gone from being a fairly confident and talented college graduate who was newly married and enjoying life to a sick pregnant woman who could barely move off the couch each day. Once Bria arrived, I was in a sleep deprived fog and completely unsure of my skills when it came to taking care of the new little being I had just brought into the world. That confident and talented part of me was pretty much gone. As Bria grew older, and as I added two more daughters to my family, I didn't necessarily grow more confident about my ability to be a mother. And while I started finding more of the woman I had once been before children, I had become depressed. I used to love dressing up. I've always liked to look nice and put together, and my style was always a little on the dressy side. I felt good that way. I felt like me. But if I showed up to a mommy play group dressed how I felt most comfortable, all the other moms would pepper me with questions about the way I was dressed. Consequently, I started buying clothing that would help me fit in with the other moms. I felt sloppy and drab in it, and it depressed me even more. I didn't realize how much the clothing I was wearing affected me, of course. But I did realize I was unhappy and I blamed it on having lost part of myself to my children. About four years ago, I noticed some of my friends on Facebook talking about a system called Dressing Your Truth®. My curiosity was piqued, but I mostly observed them for a little while. One day, though, I decided to look into it further and that was the start of a life-changing experience for me. You can read about some of the ways changing my wardrobe changed my life, but I was surprised at how much it changed the way I parent, too! Dressing Your Truth is based on an Energy Profiling system that categorizes people into four different Energy Types. Understanding how a Type 4℠ moves, thinks, and feels has helped me to parent more true to my nature. In other words, I am less likely to compare myself to the other moms out there and I know it's okay to just be me. For instance, I have always lamented the fact that I am not a fun mom. I simply don't care about having fun, and tend to be more serious. I have now learned that I can be a "fun" mom in my own way. Besides, I strongly believe that our children were given to us for a reason, and the strengths that we have as mothers will serve them better than if we try to be something we're not as parents. One of the reasons Dressing Your Truth is so wonderful is that people—your children included—get clues about who you are based on how you look. I recently had the experience of getting my hair cut by a gal who had a pink mohawk, tattoos, and lots of piercings. Because of the way she looked, I expected her to be a bit edgy, loud, and maybe a little rebellious. I was surprised to find that she wasn't like that at all and was a much more sensitive and gentle person. For me, that experience really solidified the principles between not only knowing your Energy Type, but dressing for your Energy Type. Whether they realize it or not, my kids better know what to expect from me because of the way I am dressing! While not directly related to the way I dress, because of Dressing Your Truth I am able to understand Energy Profiling now. I know the Energy Types of my children, and that helps me know how to parent them in a way that honors their nature. Lucky for me, I have three children and each of them are a different Energy Type. Even luckier? Not one of them is a Type 4℠ like me! Knowing their Energy Types saves me from a lot of frustration! Want to see before and after shots of me? 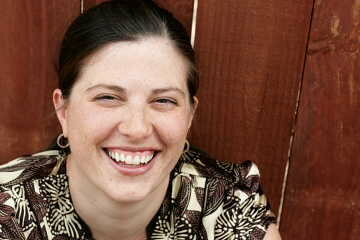 This is a photo of me taken circa 2007. Hanging out with other moms made me feel like I couldn't dress the way my own beauty sixth sense was telling me to. I started wearing a lot of brown and gray and not doing much with my make-up. I turned in the bold lipstick I had always worn for something much more understated. 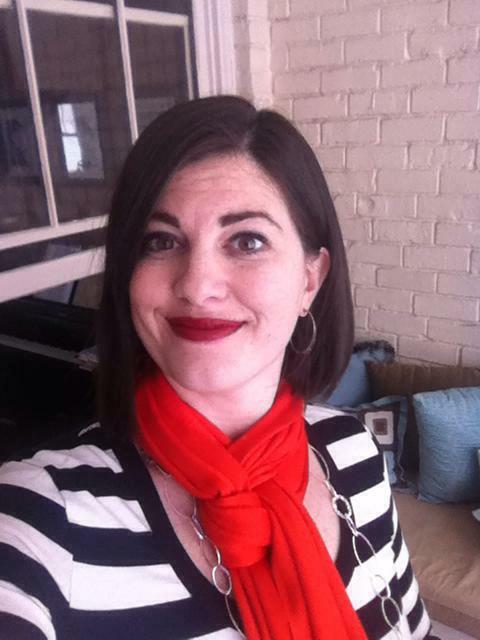 This photo was taken sometime in 2013, about six months after I had begun dressing my truth. I no longer worry that other moms think I'm too dressy or wear too much lipstick. I feel good, and that is what matters! I am so thankful for the Energy Profiling system—it really has made me a better mom! If you're interested in finding out your own Energy Type and start Dressing Your Truth, click here: FREE Energy Profiling and Dressing Your Truth Course. Once you have figured out what your own Energy Type is, make sure to check out the DYT Style Kit. It will give you all the tools you need while you are shopping for clothes to make sure you are truly dressing for your own personal truth. I love everything about this system and it very literally has changed my life!